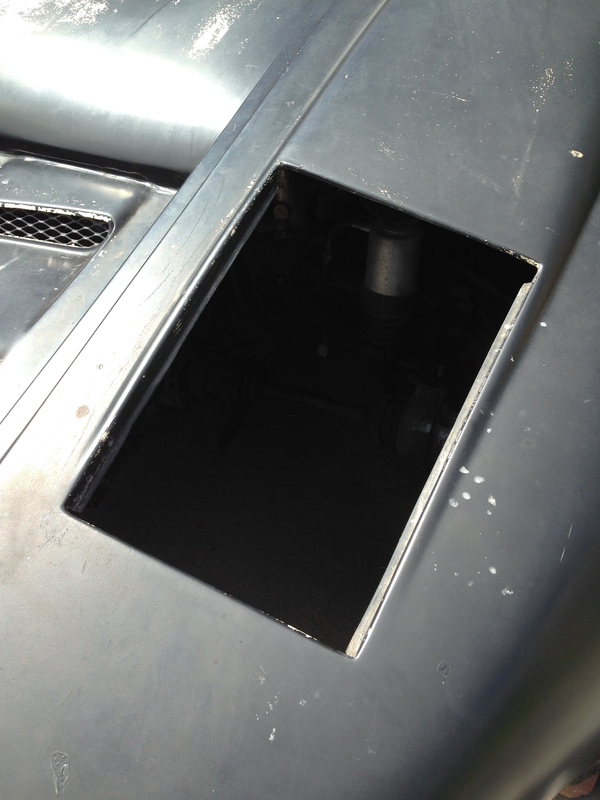 On the back wheel arches of my kit car are a couple of gaping holes where air intakes are meant to go. 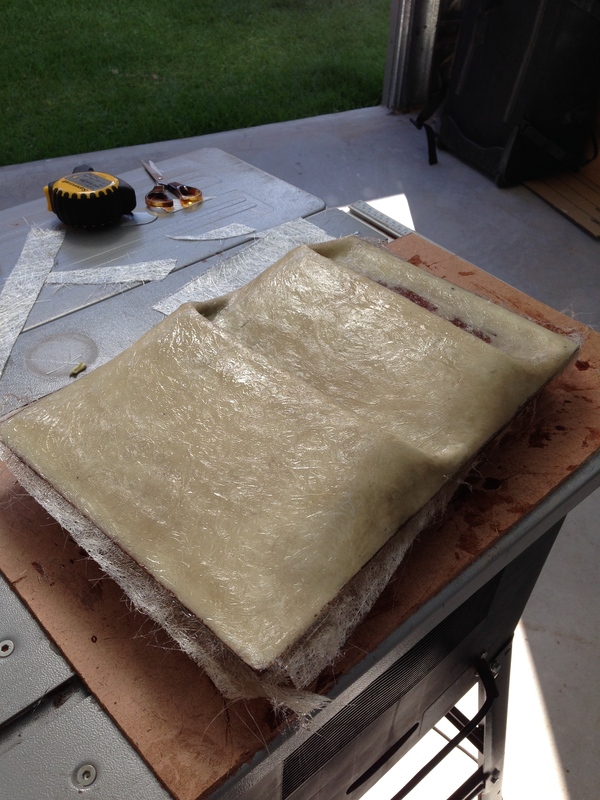 None actually came with it, so I thought I’d use the opportunity to experiment with carbon fibre and see if I could make some. 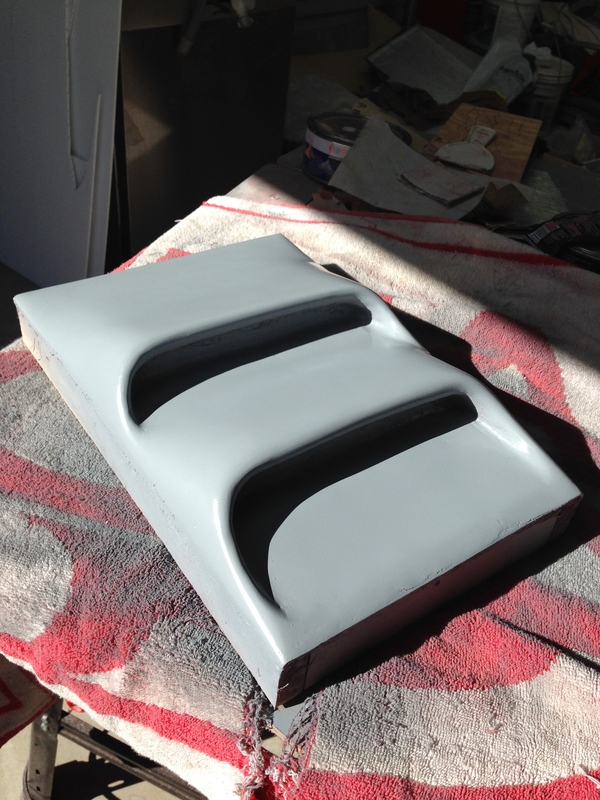 I had an idea in mind for a shape, which would be similar to the intakes on the engine cover. 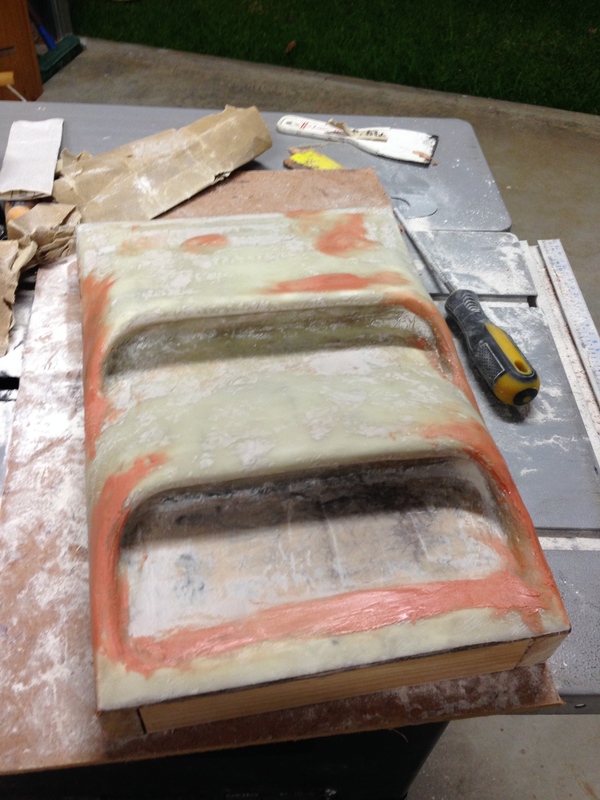 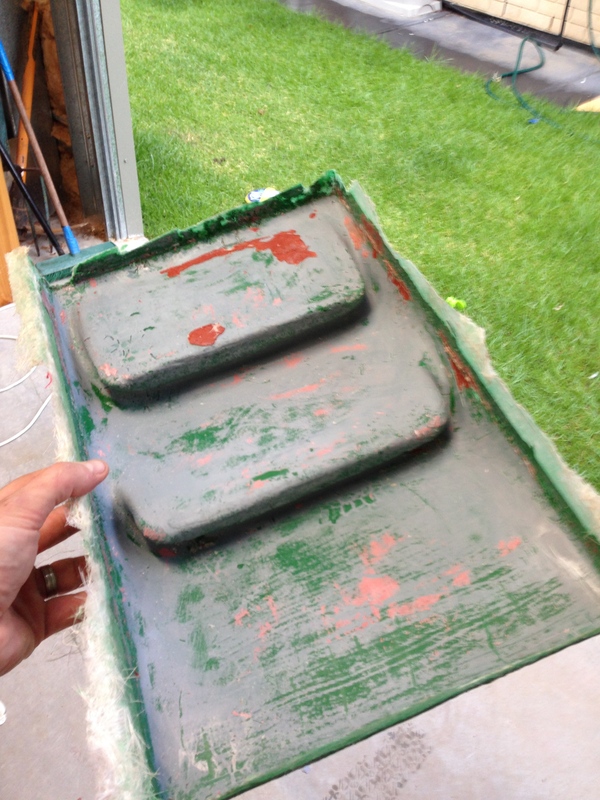 First step was to make a template of the intake to take a mould from. 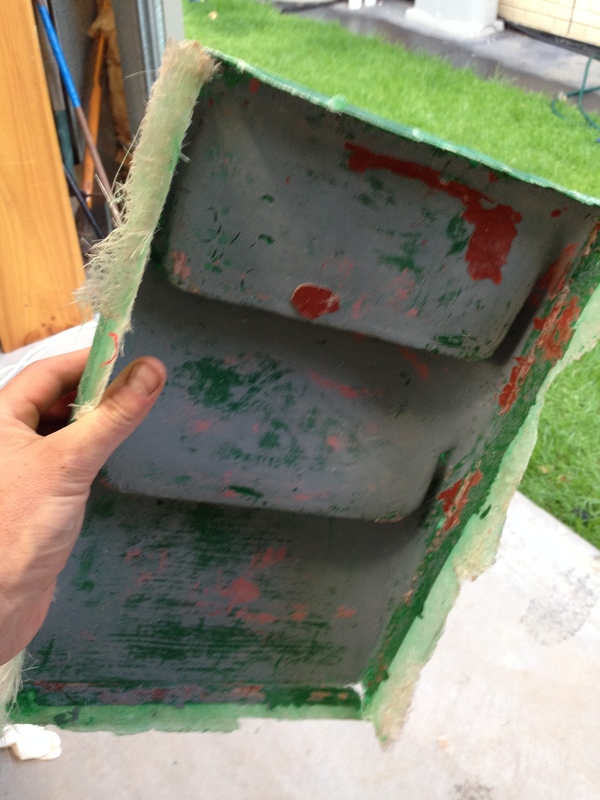 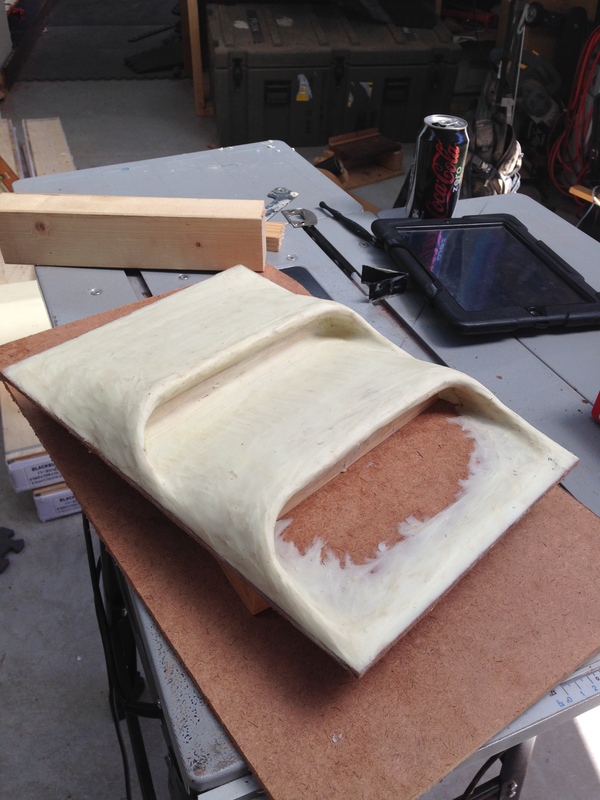 I started with a thin piece of melamine wood cut to the size of the inside of the intake hole. 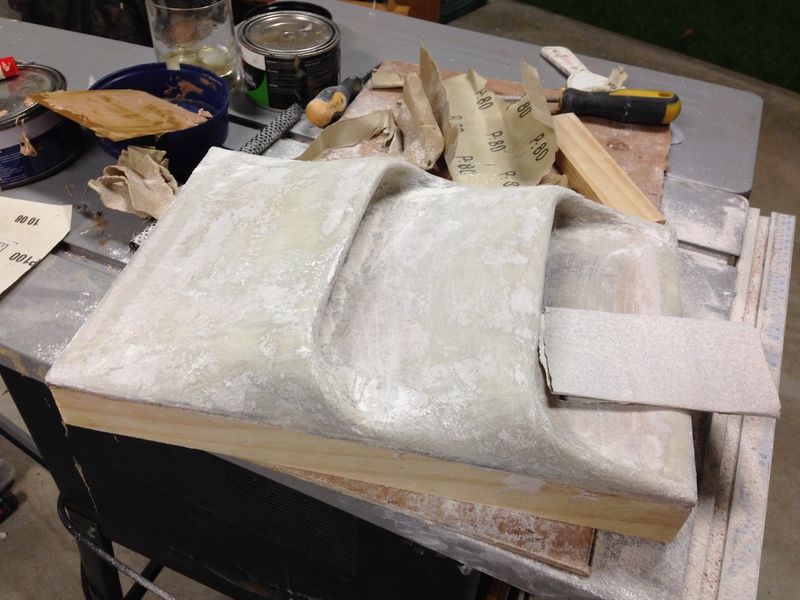 From there, I attached a couple of bits of wood where I wanted the scoops to be, and then start using sculpting clay to form the template. 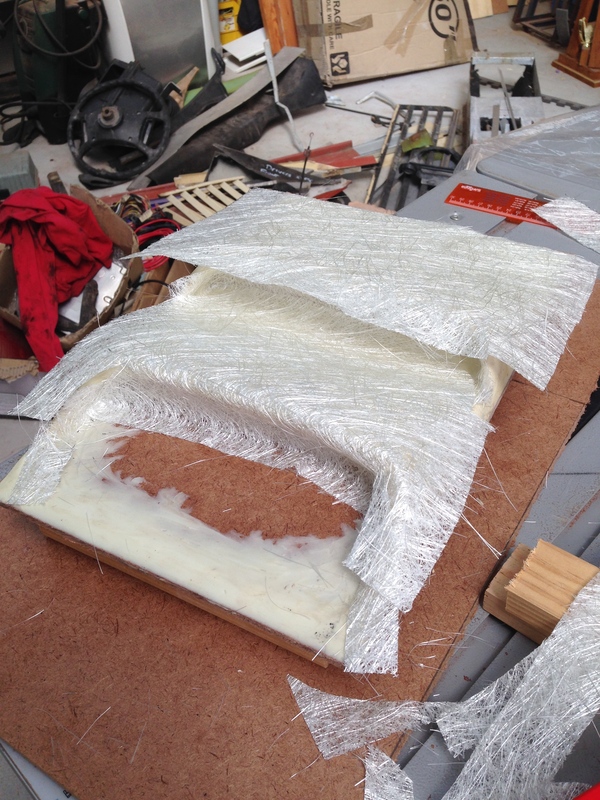 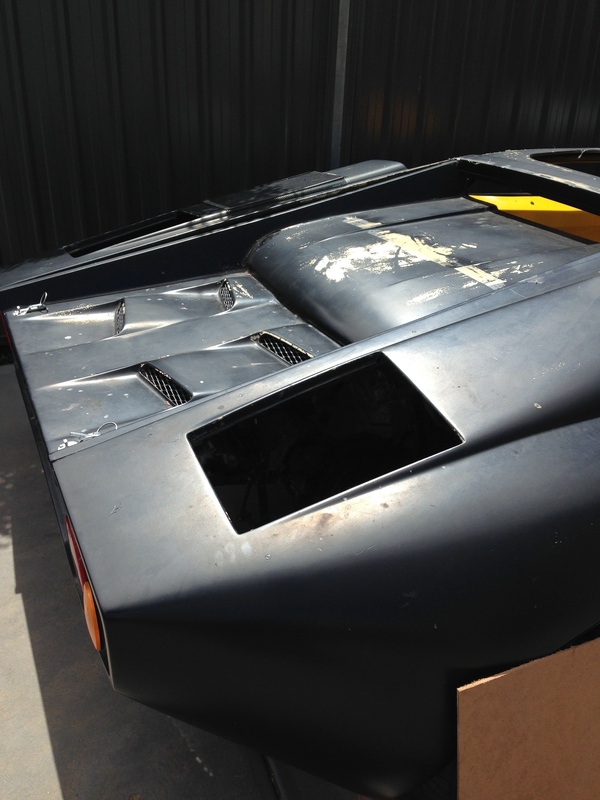 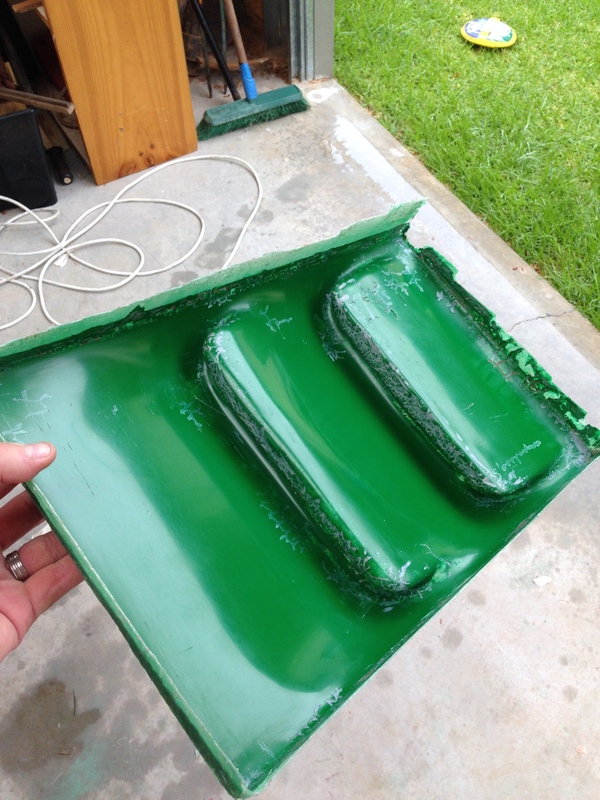 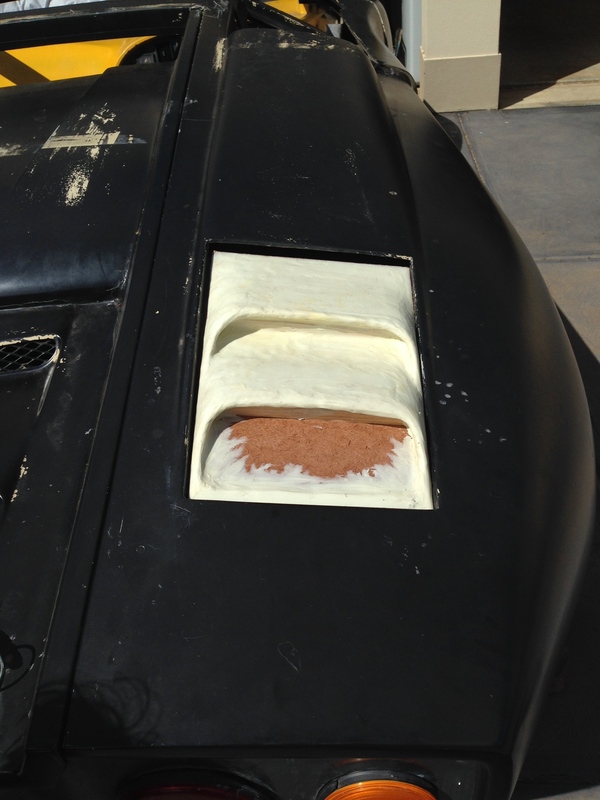 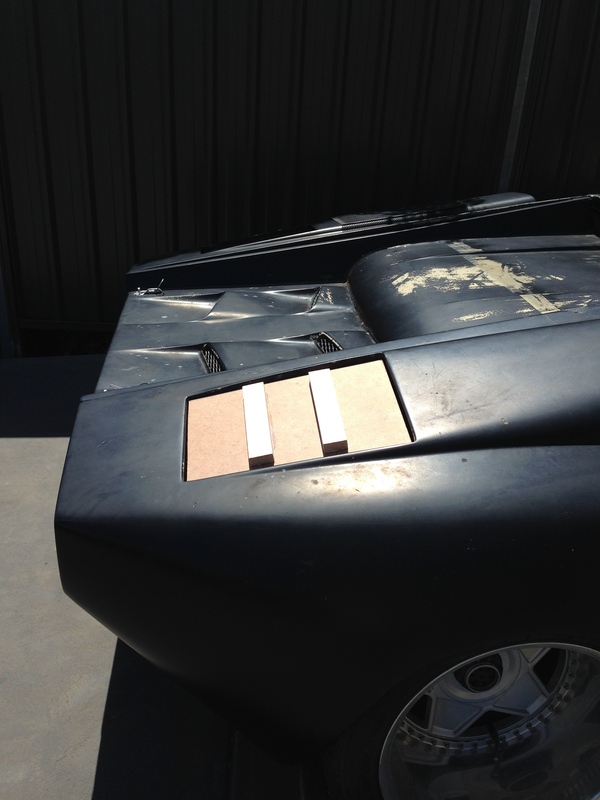 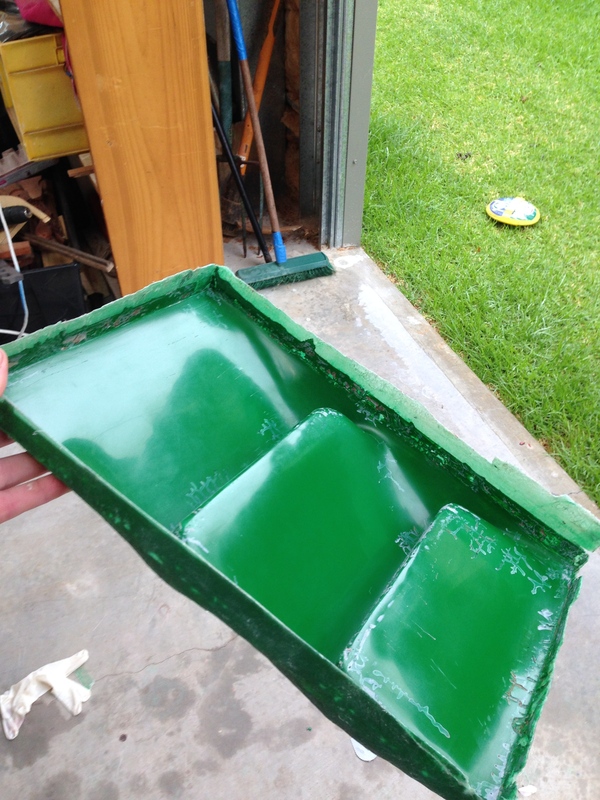 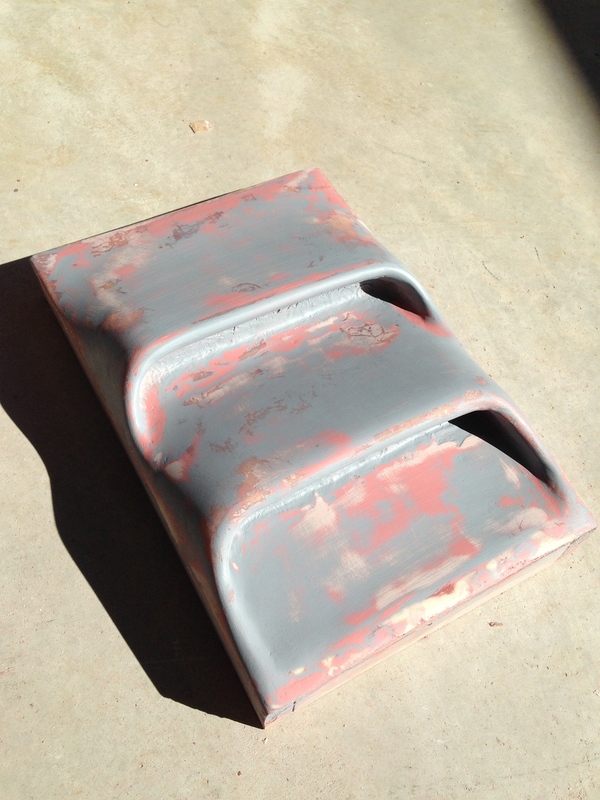 At the stage where I was happy with the shape of the scoop, I lay a thin shell of fibreglass over the top of it. 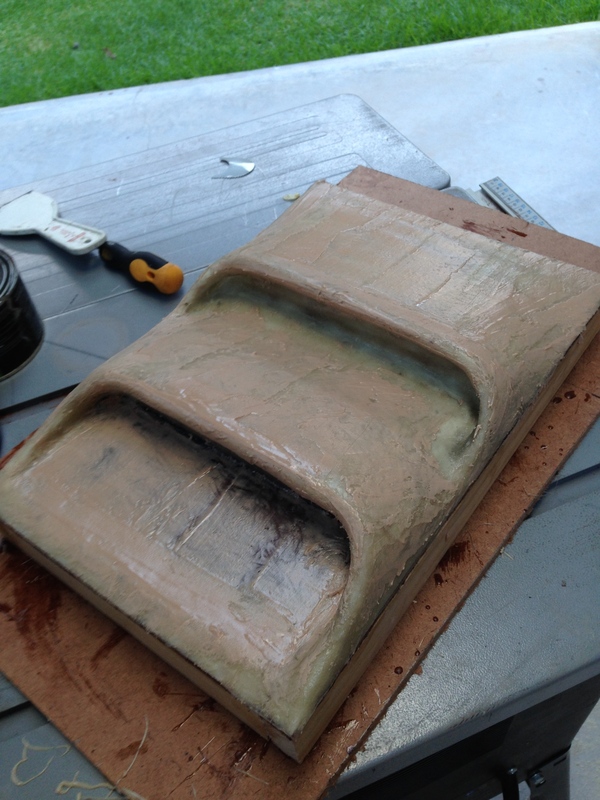 With the shell of fibreglass cured, I then went on to achieve a smooth surface profile with layers of filler and lots of sanding in between. 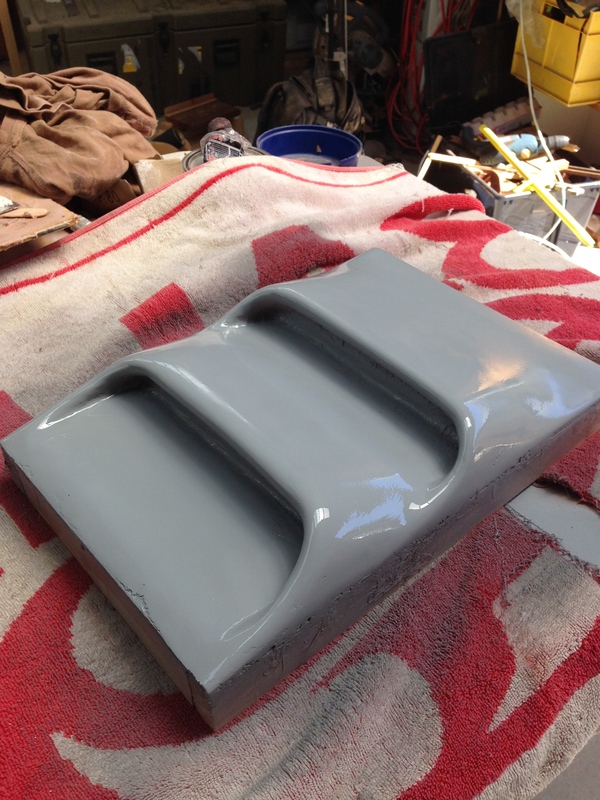 Once I had it at the stage I was happy with, I hit it with a final coat of primer filler and wet sanded it to 2000 grit. 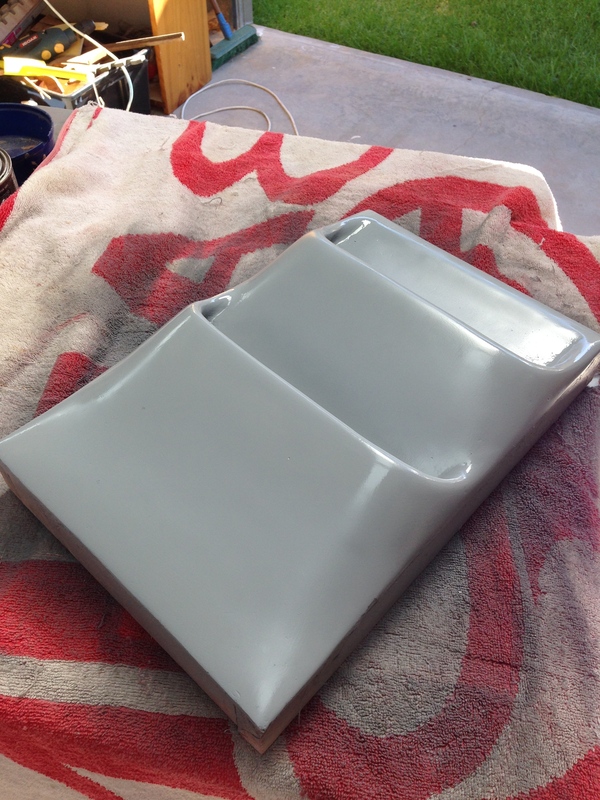 Knowing what I know now, I would have gone on and painted the template with a coat of gloss enamel. 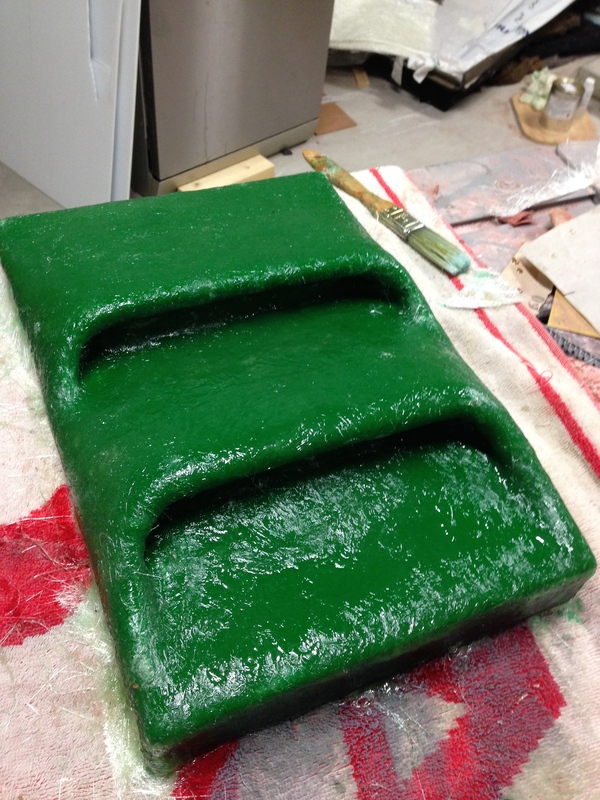 The reason for this is that a bunch of the primer ended up coming off on the gel coat, but more on that below. 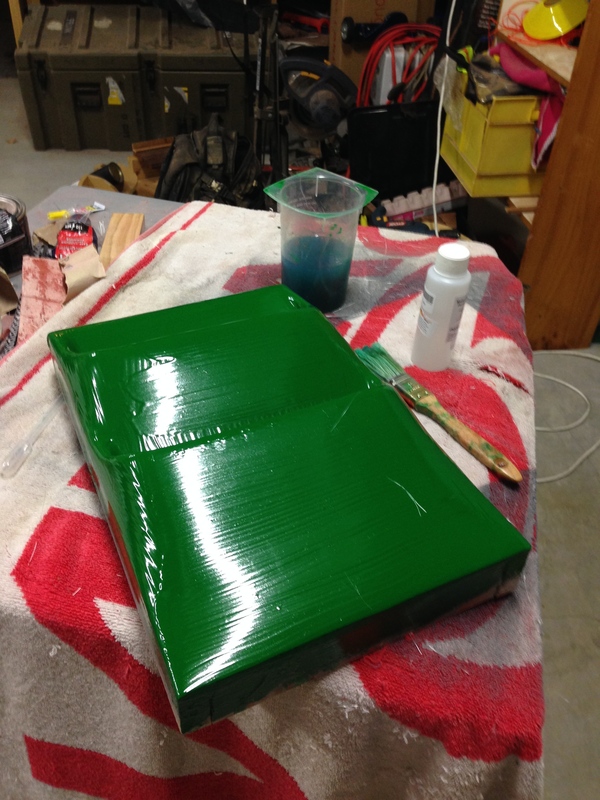 Next came 5 coats of release wax, and then the tooling gel coat. 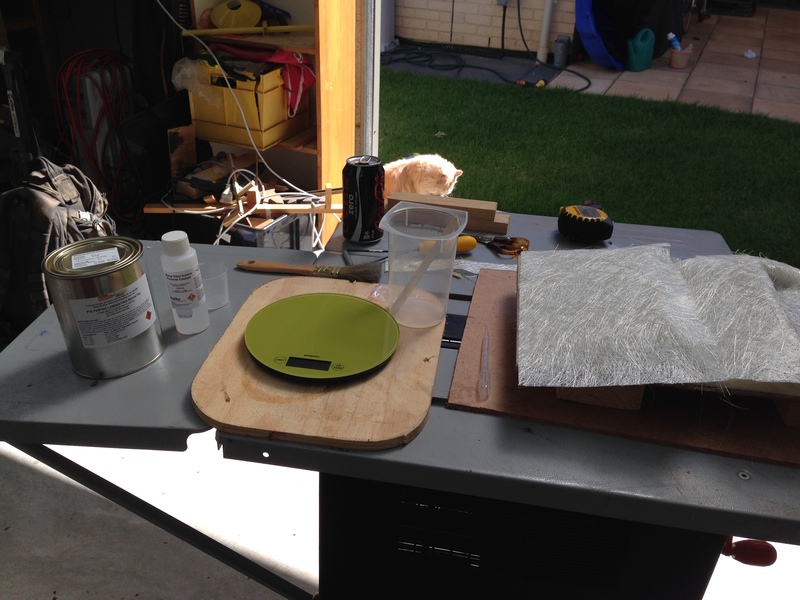 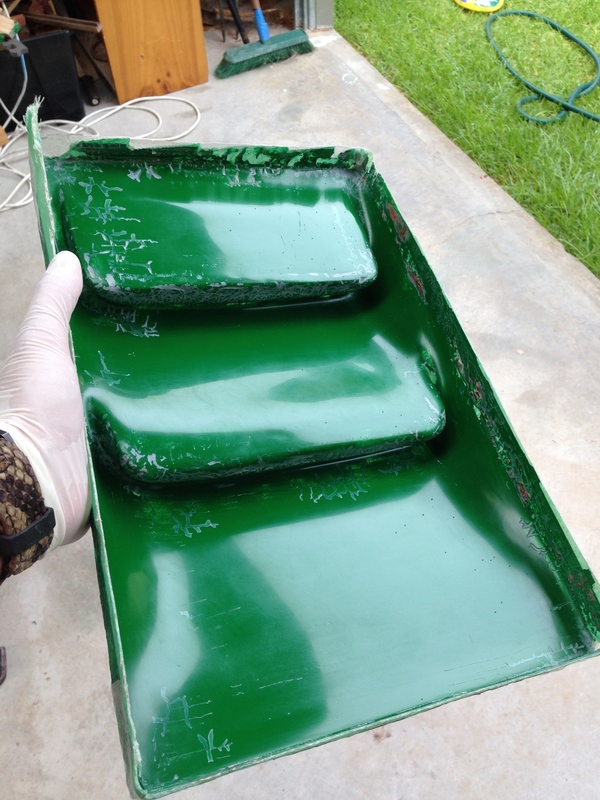 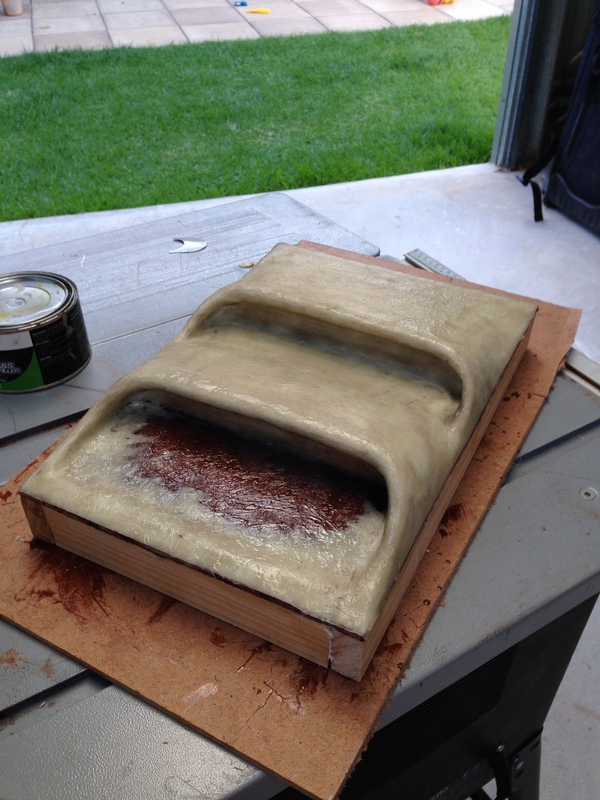 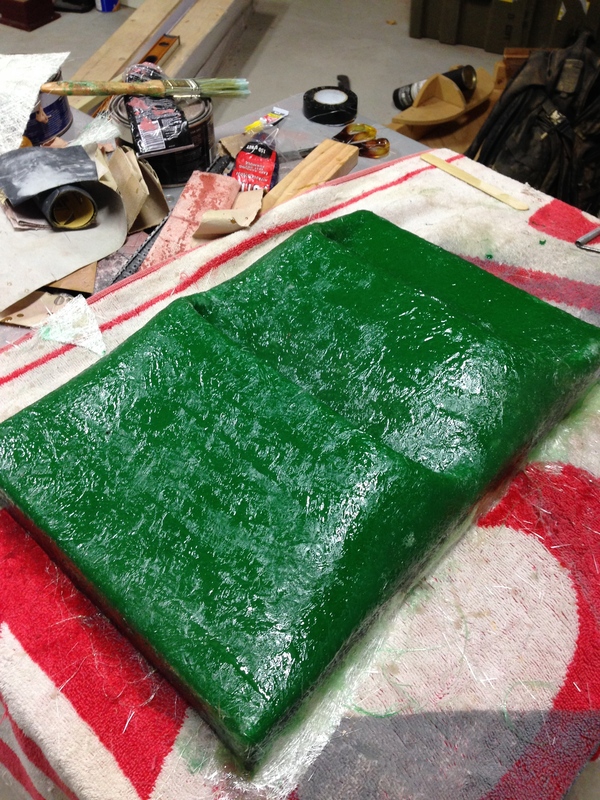 Once the gel coat was dry, I applied two layers of fibreglass to complete the actual mould that I would go on to use for the carbon fibre. 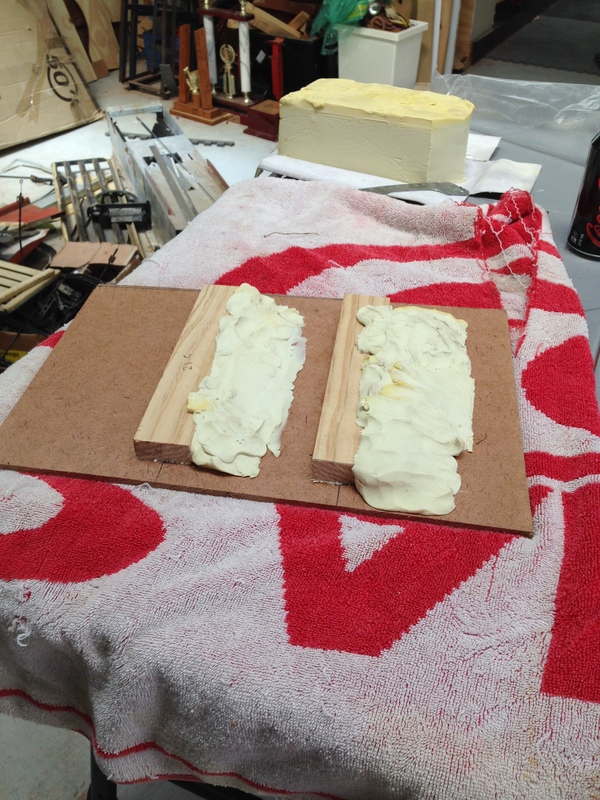 As I mentioned above, when I went to separate the template from the mould I had all sorts of trouble with the two sticking together. 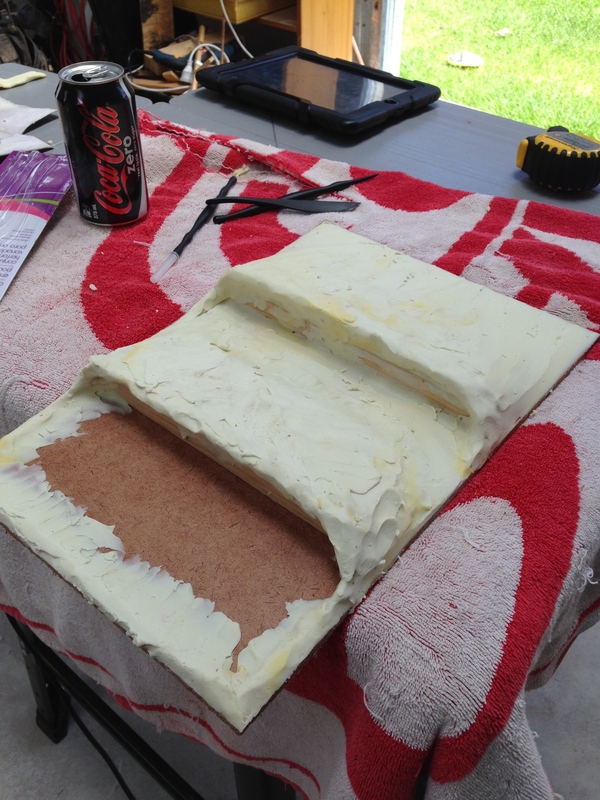 I ended up destroying the template removing the mould, and as seen below, the mould eventually came off with a bunch of primer and putty stuck to it. 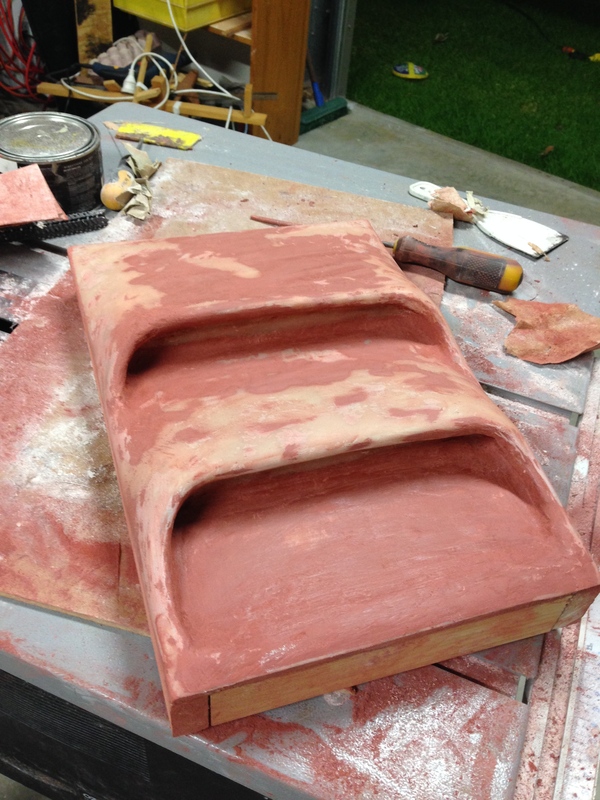 After sanding I came up with a finished mould. 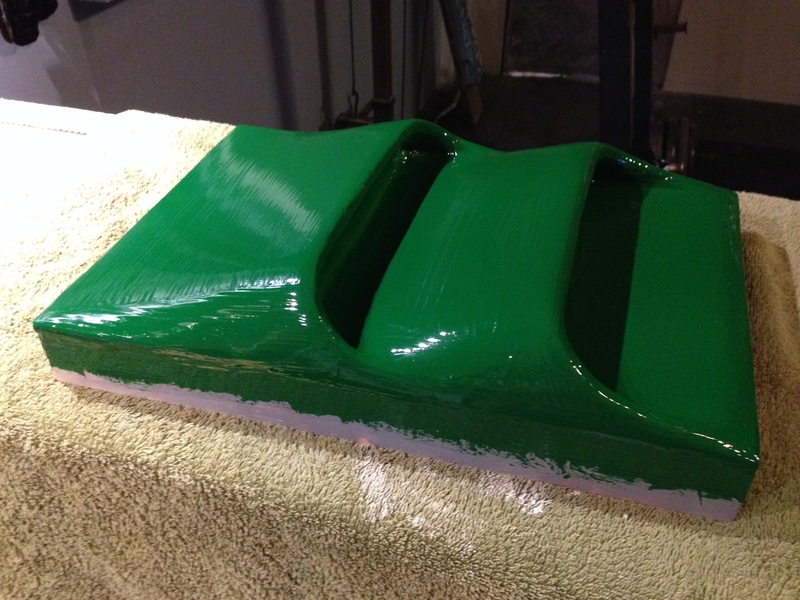 Next comes the carbon fibre! 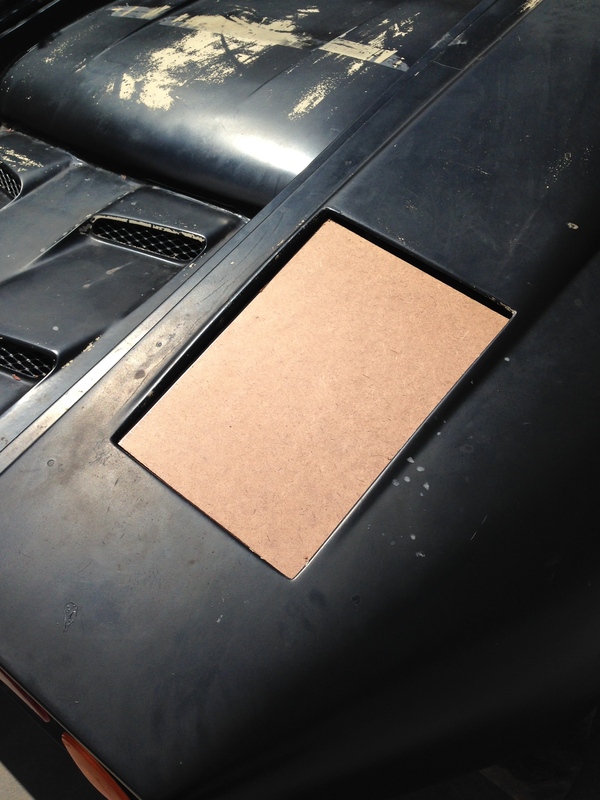 Cheers for looking, dan.